Take the Dive Nominated for a Golden Sheaf Award as Best Lifestyle/Reality Series! Prairie Boy Productions is proud to announce that Take the Dive has been nominated for a Golden Sheaf Award in the category of Best Lifestyle/Reality Series at the 2019 Yorkton Film Festival. Fellow nominees include Big Brother Canada, Intervention Canada, The Amazing Race Canada, and Top Chef Canada. As the only nominee from outside Toronto, we are honoured to be in a category of such outstanding company. Full list of nominees are listed here: http://yorktonfilm.com/2019-winners-nominees/. We are excited to head Yorkton, Saskatchewan for North America’s longest running film festival, from Thursday May 23rd, 2019 to Sunday May 26th, 2019. Established in 1947, the Yorkton Film festival continues to dedicate themselves to promoting the very best of on screen and media content, through the annual film festival and the Golden Sheaf Awards competition. Take the Dive was produced by Orlando Braun of Prairie Boy Productions for local incumbent, Bell MTS “Stories From Home” and directed by Jorge Requena Ramos himself. It was also featured on Travel Manitoba, and with the participation of Manitoba Film and Video Production Tax Credit, and the Canadian Film or Video Production Tax Credit. We’d like to take this opportunity to thank everyone who was apart of the show. We are beyond proud the hard work that was put into this labour of love. Stay tuned for season 2 of Take the Dive to be released soon. 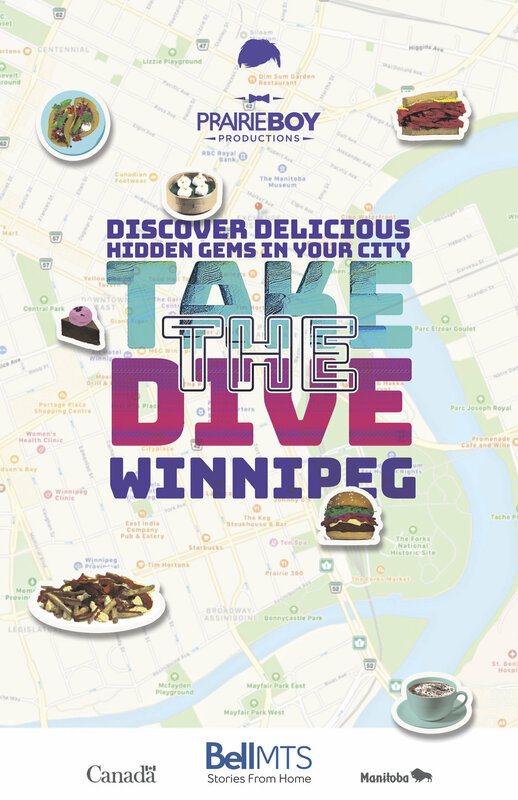 Take the Dive launches on Travel Manitoba online!